The Practice is a training Practice and each year a Registrar joins the Practice for one year. A Registrar is a fully qualified doctor new to general practice who will have spent the previous three of four years since qualifying working in hospitals. The Nursing Team provide appointments for dressings, ear-syringing, blood tests, cervical smears, contraceptive advice and prescription, travel advice and vaccination, health promotion advice, first aid, baby immunisations, suture and clip removals. Appointments are also available to monitor chronic disease areas such as asthma ischaemic heart disease, stroke and hypertension etc. Please contact the Receptionists to make an appointment for any of the above. The Practice has a team of receptionists without whom the Practice could not function. They have a very difficult and often stressful job attempting to balance the needs and wants of the patients with the availability of appointments and services. Their responsibilities include making appointments, telephone answering, switchboard operating, filing, patient registration, form filling and preparing repeat prescriptions. Community (or District) nursing sisters are based at the Practice. They care for patients in their own homes, usually at the request of a doctor. For messages and requests for the nurses during surgery hours ring 0131 524 0150. 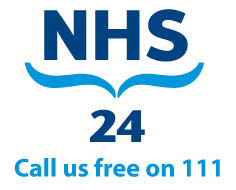 Out of hours the community nursing service can be contacted on 334 3490 or 666 2828. Health Visitors are at the Practice and are primarily responsible for the health and welfare of mothers and babies, children up to the age of five and the elderly and disabled. They act as a link between the Practice and many social agencies. Contact the Health Visitors on 0131 346 4686 and are usually available from 9am to 10 am on weekdays and at the Child Health Clinic. The Practice has Community Psychiatric Nurses attached for adults to age 65 and for the elderly. Contact with them is usually arranged by one of the Doctors. Our Prescribing Pharmacist provides an Asthma/COPD Clinic on Tuesday afternoons. Patients can access this service by telephoning the Receptionists on 0131 225 5220.